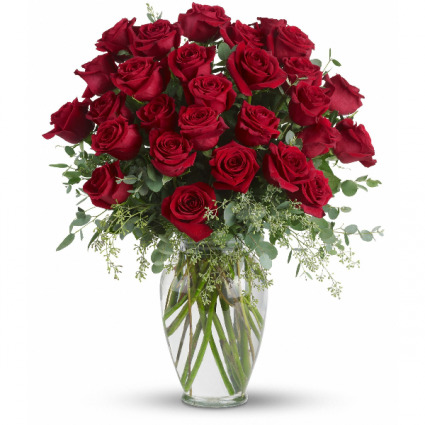 18 dazzling red roses come to life is this unique arrangement full of movement and life. 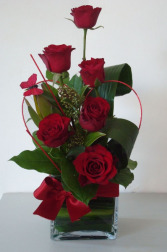 Tell someone they are special with this beautiful gift. 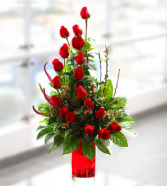 Red roses arranged in a clear glass cube decorated with aspidistra leaves and assorted greenery, accented with red ribbon and a red wire shaped in a heart.